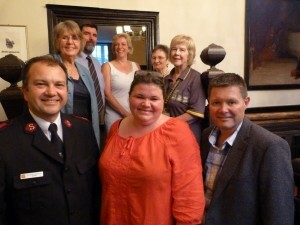 If it is Monday, it is Rotary Club night, when Oundle members meet over a convivial meal at The Talbot Hotel. Founded in 1974 by Philip Brudenells, Phil Cook and Mike Gallon, the Oundle club is part of a global community with over one million members who all meet to serve the organisation’s founding principles ‘to create positive, lasting change in our communities and around the world’. The Rotary Club is a group whose members might have successful careers in business, and are looking for ways to contribute to the community. The members emphasise that it is not a business networking club, but purely a social club that meets for the benefit of the community. The Oundle Rotary Club is part of District 1070, which comprises about 80 clubs in a five county area. It has 19 members, but, according to its members, it ‘punches above its weight’. The club has an annual calendar packed with fundraising events, such as a Christmas concert at St Peters for the Salvation Army, a Race Night at Warmington, an Antiques Rotary Trip and an international quiz. 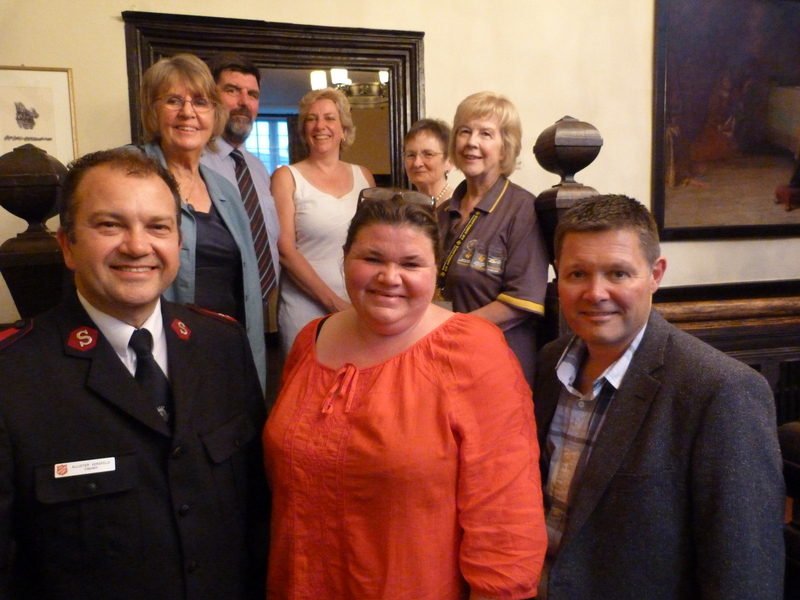 In June, at the annual cheque presentation evening, the club was able to present cheques to a wide range of charities, notably Rutland Sailability, Seniors Tea Party, Tilden Project Nepal, Nongoma Project in South Africa, the Reg Sutton Trust, Air Ambulance, Peterborough Salvation Army, Volunteer Action, Anaphalaxis Society and Shelterbox. The club not only organises fundraising events, but it also sponsors community traditions, such as the Market Place Christmas tree, and organises community events and services such as ‘Stroke Awareness-Know Your Blood Pressure’ in April. It also coordinates Heartstart Oundle on behalf of Heartstart UK, to provide training in emergency life support procedures. They also have their own Foundation Charity, which supports the eradication of polio, and they sponsor a candidate for an Outward Bound styled programme with the Rotary Youth Leadership Award. Every meeting at the Talbot opens with the Royal Toast, but the club is strictly non-political and non-religious. It has never been exclusive, but traditionally it has always been male. The great strength of the Rotary Club is that it has an international network and strong affiliations with established projects that back its respected reputation. While older members can share their professional skills and experience on local projects, involvement in the club can provide younger members with opportunities to take leadership roles and expand skills, all in the pursuit of helping the community.